Butter is one of the highly consumed dairy products in the world and hence utmost hygiene during the processing are crucial to prevent the microbial contamination, which remains viable throughout the shelf life of the butter and risky for the human health. The contamination of the butter can be controlled by effective cleaning and sanitation of the every equipment that directly contacting to the butter. With respect to the butter processing hygiene essential, we have manufactured an unmatched quality range of the butter processing conveyor belt that promises the highest level of the hygiene all across its lifespan, made from the FDA approved PVC/PU material that also meets the dairy standards of the regulations. The nonporous surface of the PVC/PU material prevents the growth of the microbes, which is the major reason for the cross contamination of the butter, whereas the easy surface releases property enhances surface cleanability and hence maintain the hygiene level during the butter processing. 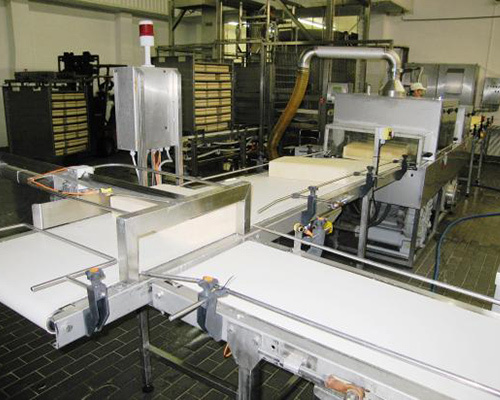 The design of this conveyor belt for butter processing has kept simple for the easier cleaning and handling all through the butter processing, whereas manufacturing is carried out under the quality controlled processes to get the best in class quality range that can withstand rigorous environments during the butter processing, is being forerunner in the butter processing industries for its highest hygiene, safety and reliability quotients. No matter, what is your requirement, our butter conveyor belts can be availed in any specification, whilst exclusive customization is also available, if require.